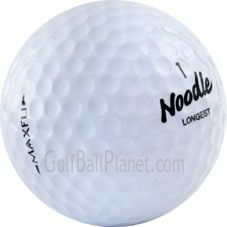 This Noodle mixed golf balls is great for the golfer that is looking to play a Noodle golf ball but doesn’t prefer one model over another. They will come as a random mix of different models that may include but is not limited to: Long and Soft, Rotini, Al Dente. All of the golf balls will be white golf balls. PLEASE NOTE: This mix will not contain a set percentage of each model.